So how is everyone doing on their New Year’s resolutions? I know, I know: The first month of the year isn’t even over yet and it’s already hard to stay on track isn’t it? Especially with all the big eating events that are coming up soon. The Super Bowl is only about a week away and then you got Valentine’s Day. Oh, and my birthday is tomorrow. (Just thought I’d slip that in to see if anyone noticed ;). And I don’t know about you, but the winter always seems like an odd time of the year to eat lighter in my opinion. Because really, all I want is a big creamy bowl of soup in the attempt to keep warm. Or a heaping plate of mashed potatoes and gravy sounds perfectly fine in the dead of winter. Really, New Year’s resolutions should take place in the summer in my opinion. When I’m actually craving a salad. 1. As soon as you buy berries from the store,(raspberries, blackberries, blueberries, strawberries) take them home, wash them and divide them up into small plastic baggies and store them in the freezer. That way, you always have frozen berries on hand to make your smoothies in the morning. No ice needed. “. All you do is put one scoop in your smoothie and you will start the day with greens in your diet before you have even walked out the door. 3. 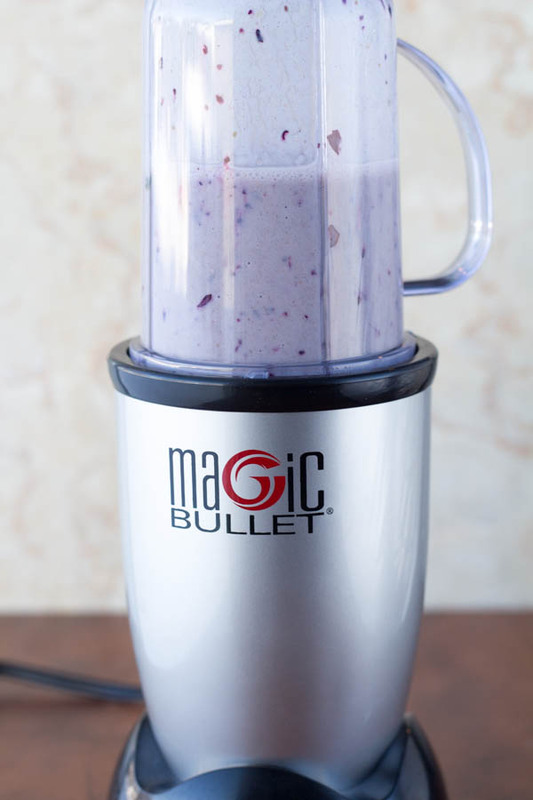 Use a “Magic Bullet .” to mix your smoothie hassle free. I love how easy it is to use a Magic Bullet. It is small and because you can mix it and drink your smoothie in the same cup it is a LOT less of a hassle than using one of those huge blenders. 4. Always keep ripe bananas on hand to throw into your smoothie. It adds potassium and makes your smoothie nice and creamy. 5. Use Kefir to get the added benefits of a pro-biotic blend in your diet. Did you know Kefir is 99% lactose free? ” and I am definitely a new convert. Having tried other green powder type supplements, I can honestly tell you that it has a very pleasant taste. I have found that other green powders often taste bitter. Dr. Mercola’s on the other hand had no bitter after taste. When I mixed it in with my berries, banana, and kefir, all I taste is “sweet”. 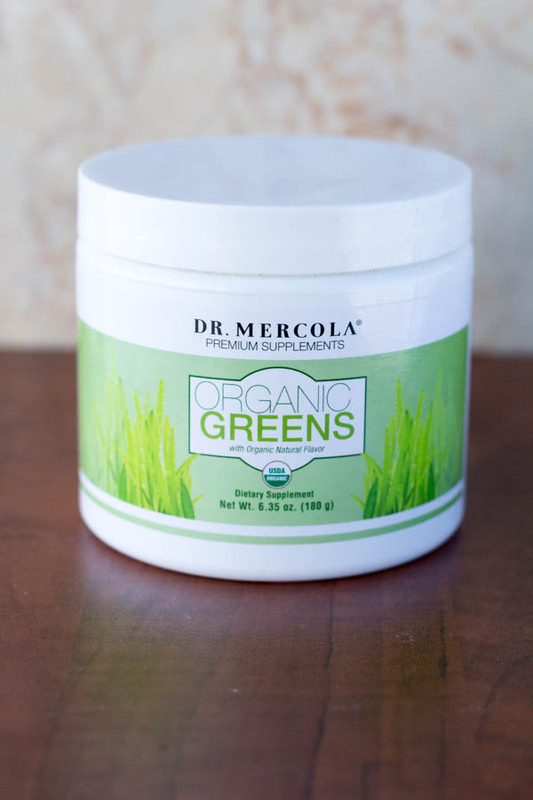 If you are interested in learing about Dr. Mercola’s Organic Greens supplemental powder just click here. And I have a great opportunity for you all. Dr Mercola has generously provided a great package of supplements as a giveaway for one of my lucky readers! To enter the giveaway, just follow the instructions on the rafflecopter link. Good Luck! Disclosure: Dr. Mercola has provided me with the giveaway products listed above and a container of “Organic Greens” for me to review. I was otherwise not compensated by Dr. Mercola and all opinions are, as always, 100% mine. This giveaway is open to residents of the USA who are 18 years of age and older. Thanks for the giveaway. I love starting my day with green smoothies, gives me so much energy! Great post! I love smoothies. So energising and the perfect breakfast on the go too! I love to start my day with a smoothie! I’m been on quite the kick with them lately! I am all about green smoothies at the moment. Just a little bit of spinach goes a long way I think. Happy belated birthday!!! hope it was a great one!!! I need to get a magic bullet! I’ve heard those things are awesome! I’ve never used green powder type supplements . . but this one looks interesting! Happy belated birthday Renee! Thanks for sharing all these wonderful tips on making smoothies! Never used green powder supplements, but this one looks worth trying! Thank you Mira! Dr. Mercola’s product is really good! Hope you had a wonderful birthday, Renee! I haven’t been the best with eating healthier so far this year, though I am on a smoothie kick! I love the tips you give, especially about keeping bananas around. Thanks for sharing! Thank you Gayle! It was a wonderful birthday!! Happy Birthday! I love smoothies, we have one daily for breakfast and would love to try the organic greens in my smoothies. Thank you Kathy! I really enjoyed Dr. Mercola’s organic greens! …have heard great things about this product…can’t wait to try it! Happy Birthday Renee! I hope you had a fabulous day, girl! I love all these smoothie tips! I’m kinda obsessed with my blender at the moment, so this couldn’t have come at a better time! My mom goes on and on about Dr. Mercola. I am hoping to win this for her. Hello Renee, I found you thru a fellow blogger’s page and think I found you on a good day! 🙂 Wish you a very-2 happy b’day and a great year ahead! I’m crazy for smoothies and loved all smoothie tips! Hope you will check my page too! Enjoy your day! Cheers! Happy belated birthday, Renee! I love prepping smoothies ahead of time and your tips are great. I will have to check out the Organic Greens supplement. Thanks for the giveaway! I keep thinking I need to make smoothies more often but always think it sounds like work. Thanks for breaking it down! 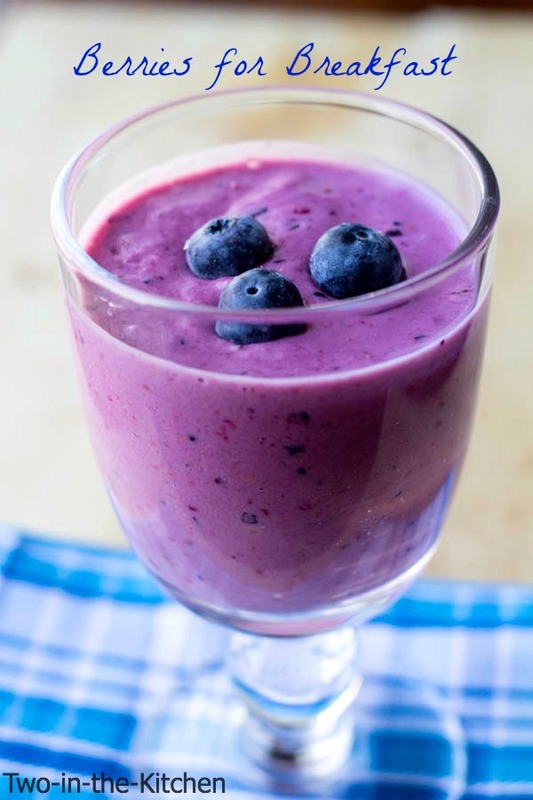 I have a Nutri Bullet and I LOVE making smoothies – so good! Smoothies are awesome, and I need to have more of them! This green powder is such an easy way to make a “green” smoothie, too! My boys and I love smoothies. Thanks for the tips and the great giveaway! I’ve heard great things about the Magic Bullet. Now I know about the supplements as well. Thanks! Lisa @ Pebbles & Piggytails recently posted…RootsTech Ticket Giveaway!! Wonderful tips! 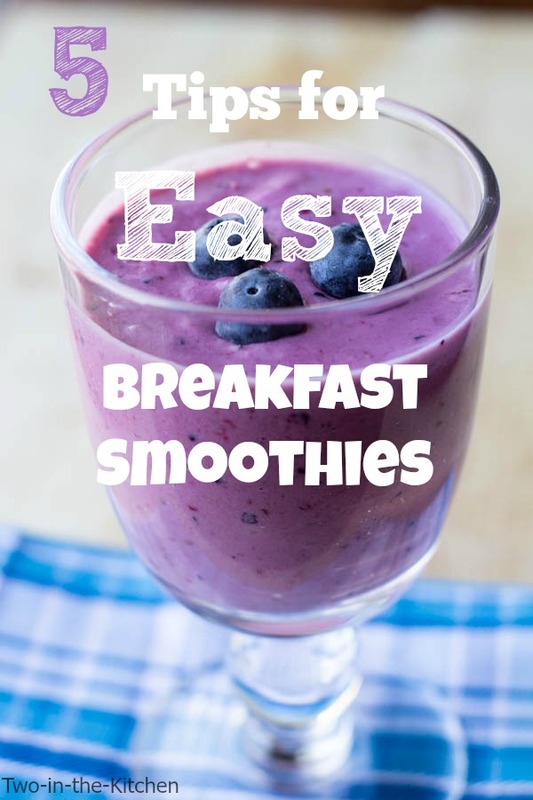 Smoothies are one of my favorite breakfast items! 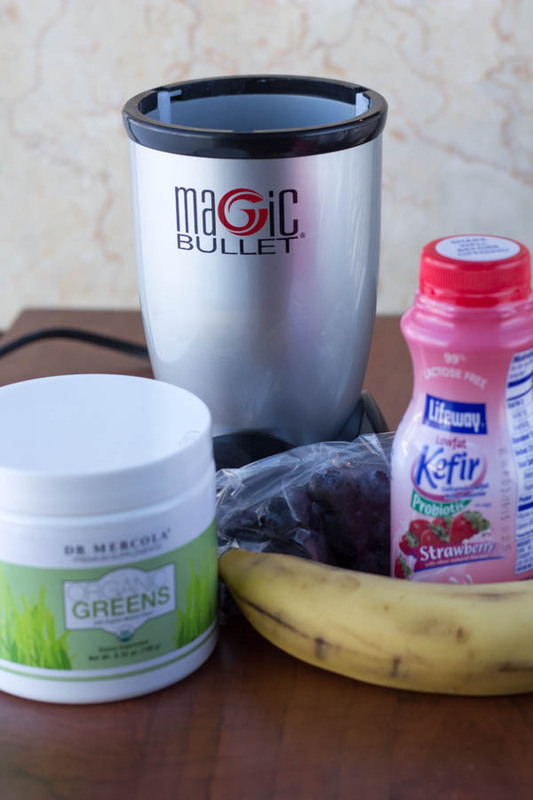 magic bullets or nutribullets do make whipping up smoothies super easy and convenient! I make one for breakfast several times a week…and then I walk through the streets of NYC with a bright green smoothie in freezing weather…there are a few stares but I don’t even care! 🙂 Happy belated birthday! And I can’t wait to mix it up with kefir this week! Hi Renee. Im interested to see you are using a greens superfood powder, me too. I like to know I’m getting all the vitamins and mineral I need. I add coconut flakes and chia for texture also banana for extra flavour. Really good, try it.